Diana Riesler had to reorganise her whole season planning due to a cold end of April which lasted very long. 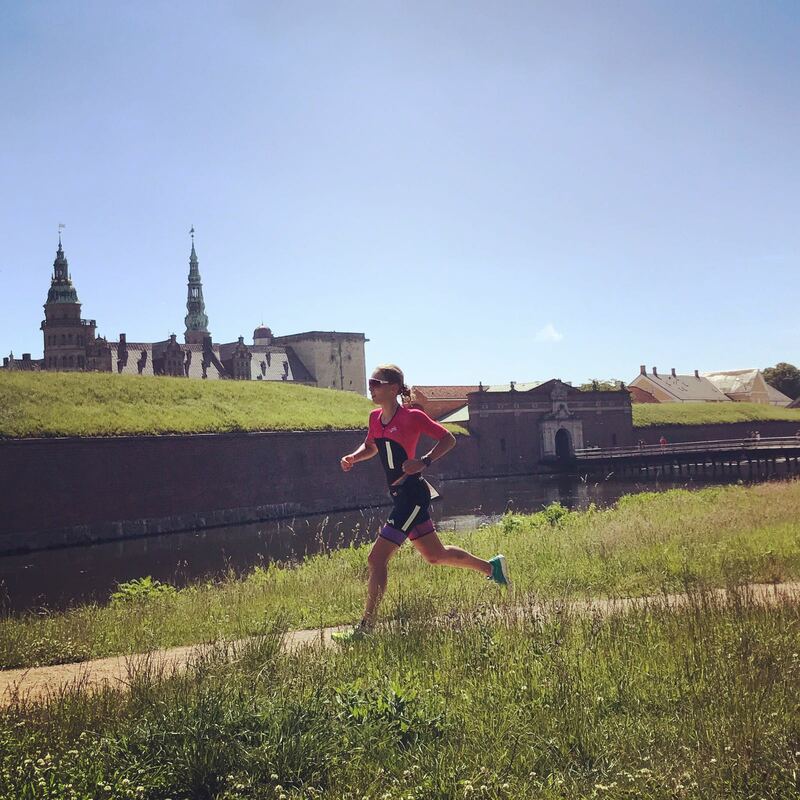 After racing Keszthely Triathlon last weekend Diana started at the European Champs in Elsinore as well. 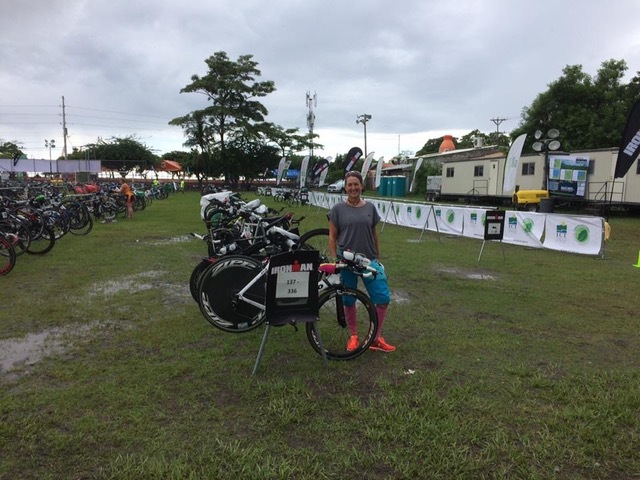 While she always thinks that she is too slow for the 70.3 races she gave her best on that day and became 8th with 4:21hrs in a strong field. She lost her swim group and was far back after this section of the race. However, it was a handy swim course, where you could walk alongside the swimmers, which allowed me to video-tape the swim start. We did a thorough analysis and could define where Diana made wrong decisions in the first 400m of the swim when the groups sorted. That is very helpful for her next races. In T1 Diana's helmet was blown away by the wind and the visor got lost. She ran after it and while doing so all the other girls were out on the bike. Unfortunately she couldn’t close the gap to the others on the bike as she normally does. Then she suffered a bit on the run but at the end she did a solid race. We got a proper race effort into her legs - and that was all we were looking for. On top, she got some valuable Kona points. 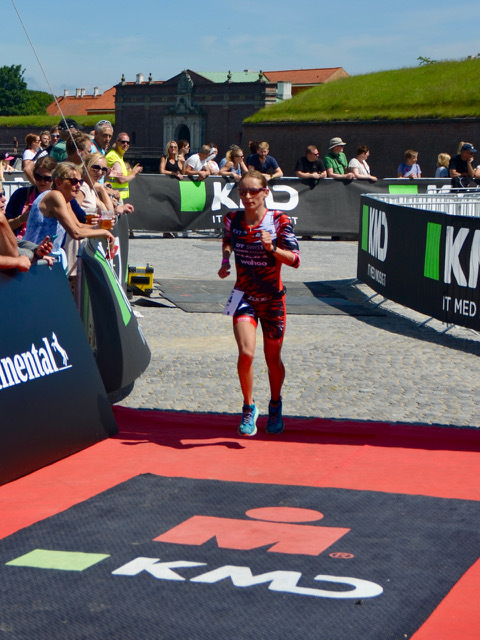 Markus Hoermann had a really strong comeback race at IM 70.3 Luxemburg. Early last year Markus was diagnosed with a serious hip injury, had to undergo surgery and was told that he won’t be able to race again on prefessional level. He was not allowed to run for 6 months. 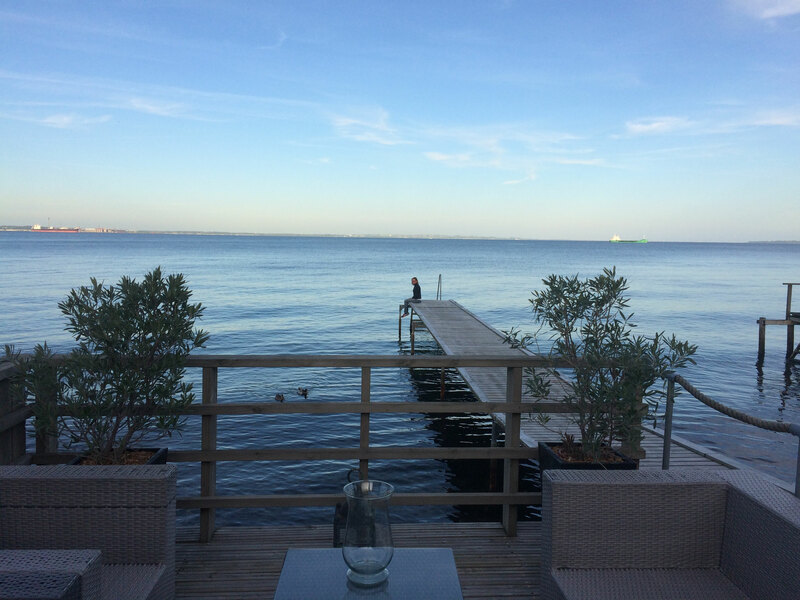 However, we kept working his swim and Markus battled himslef back to his former fitness level and beyond. This challenging time of injury grew Markus as an athlete and as a person. He is now on a new fitness level which he never reached before his injury. At Luxembourg, Markus exited the water in the big chasing group, not far away from the leading guy (an ex Olympioan open water swimmer). This was Markus' best swim so far in a professional race. 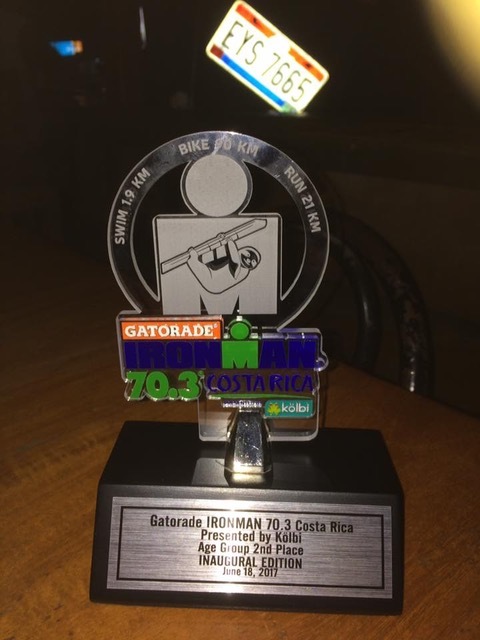 During the race he even rode in 2nd position for some parts and finally had a faster bike split than fellow athletes Van Hoenacker and Bas Dideren who really belong to the top triathletes on the bike. On the run, Markus had to pay a bit for all the hard work he did on the bike and was not able to ran his „normal“ pace. In a very close race (only 5min seperated 2nd to 13th position) Markus finished 12th in a time of 3:56hrs. Really a great comback race and looking forward MArkus next races. Jennifer Wood became 7th in her Age Group at IM 70.3 Luxemburg. After a good swim Jen put in a good effort on the bike but the other girls were killing it. Somehow she couldn’t find her run legs but at the end she was not far off my estimated time. Jen had enough in the tank, to finish the race with a sprint catching the girl in front of her: „Glad I’m not the girl in 8th - I beat her by 5 seconds. That must hurt, right?“ It was already Jen’s 2nd Top-10 finish this season and we are working on installing that bigger engine to move up the ranks. 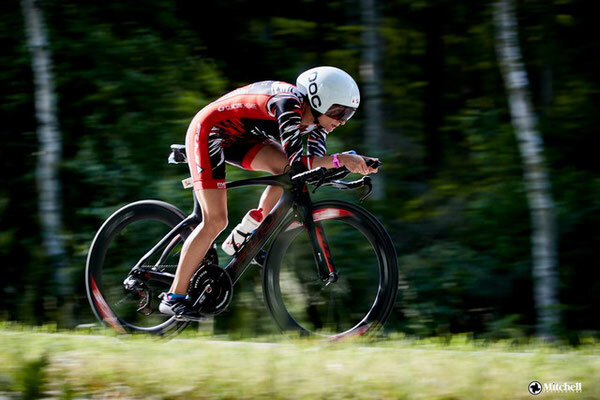 Adi Glaettli from Switzerland was doing IM 70.3 Luxemburg as well. He had solid performances in all 3 disciplines and ranked 11th in his Age Group at the end of the day. Rico Giovanoli was racing IM 70.3 Luxemburg as well. He is not really sure if he should be happy or not. His swim was okay but still 4 minutes are missing to the leading men in his Age Group. On the bike he was really pushing hard until a group of 20 cyclists came from behind and Rico felt like being passed by an Huerzeler training group on Mallorca. On that flat bike courses, drafting always is an issue. Rico’s power numbers looked decent. So we look at performance again, not bike split compared to others. While the referees didn’t do anything about the drafting going on Rico went with them to the first hill and there the group finally fell apart. On the run, Rico struggled a bit on the last 5kms. His finishing time with 4:29hrs is really good but his Age Group is so strong that he was just 21st. Nevertheless it was a really good training race. Mela Steffen, Rico’s girl friend, was the girl with the biggest smile on that day in Luxemburg. She took part in a relay and took the bike part. To her own surprise Mela was cycling the fastest bike split of the lady relay teams. Even the moderator was caught by surprise and couldn’t believe it. At the end this put her team into 2nd position of their category. 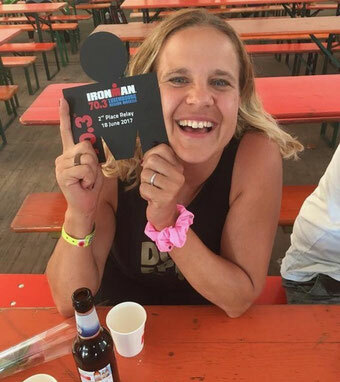 Not only that she had the fastest bike split, Mela was running the IronGirl run two days before and was running a Sub5mins pace the first time of her life. Now we can looking forward to a great European summer season. 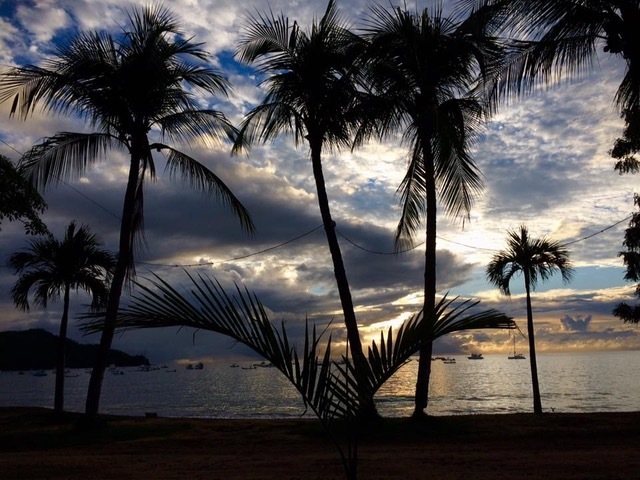 Doro Karbach travelled around the world to race the IM 70.3 in beautiful Costa Rica. While she arrived in Costa Rica only with her bike box her other luggage was sent to Milwaukee. Doro improved the first days on the island to get her training done, she kept calm and stayed focused on the race. After all the trouble Doro finally got at least a „pole (pool) position“ in the muddy transition area. The race was pretty tough, hot, humid and hilly. But at the end she had a fantastic day out there and became 2nd in her Age Group. 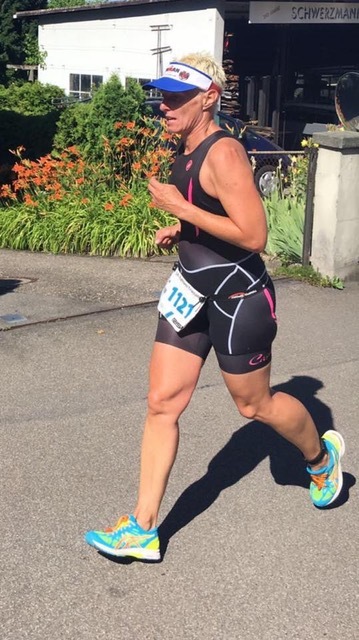 Another come-back race had Sandra Schoeni at the local sprint distance triathlon in Zug, Switzerland. 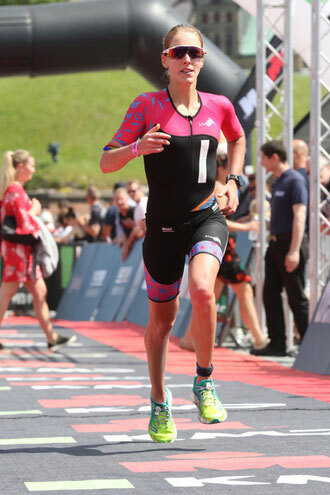 After a really long injury period and a tough struggle at Ironman Lanzarote I’m really happy that her form is coming back. 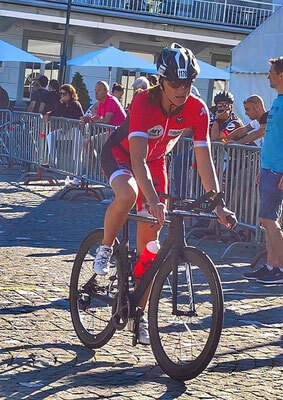 Sandra had the fastest bike split in her Age Group what helped to the get on the podium in 3rd position at the end. Well done, Sandra! 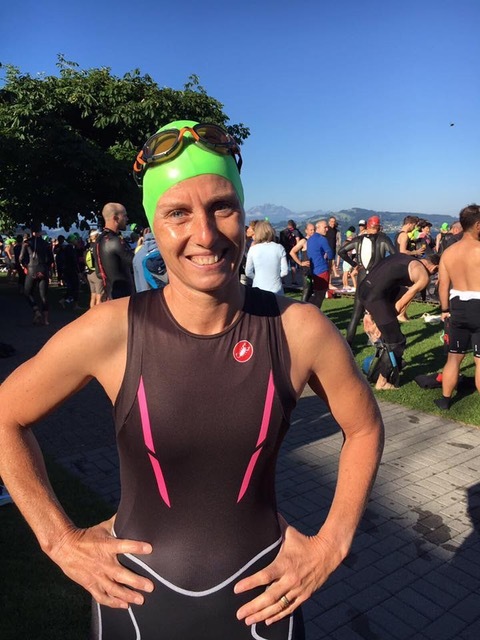 Pascale Truempy could improve her time from last year at the Zuger Triathlon, Switzerland, by 5mins! She had a good non-wetsuit swim and pushed very had on her bike. 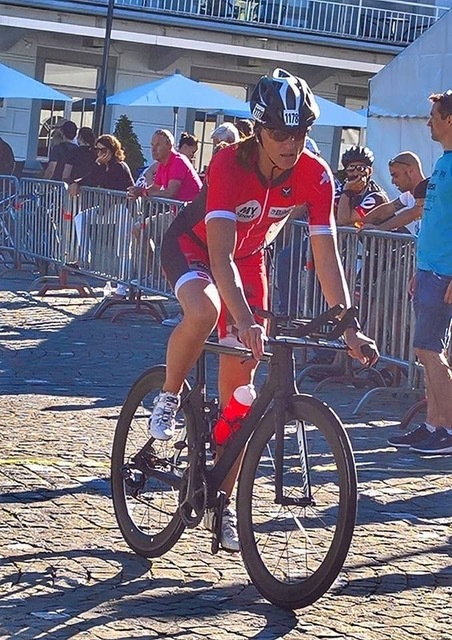 With the 2nd fastest bike split on her Age Group of the day it was maybe a bit too hard to have a really good run at the end. Pascale was a bit unlucky to catch 4th place again but at the end she is happy about her new PB on that course. Jeannine Zenker gave her comeback at the Zuger Triathlon, Switzerland. Jeannine had to stop racing for two years caused by a knee surgery and a long recovery. 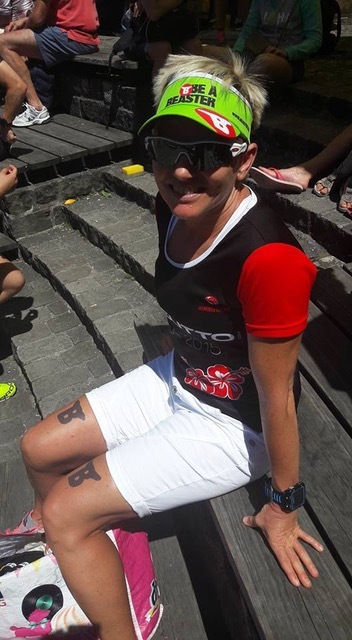 An energy bar which she ate short before the swim start gave her some trouble in the swim. This was a typical beginners mistake. But then Jeannine hammered on the bike and is really proud to cycle a 35km/h average speed. I told her to hold back on the bike and only go 90%, she was able to had a very solid run. In a time of 1:54hrs she became 11th in her Age Group which makes us really happy to see her back racing so well. 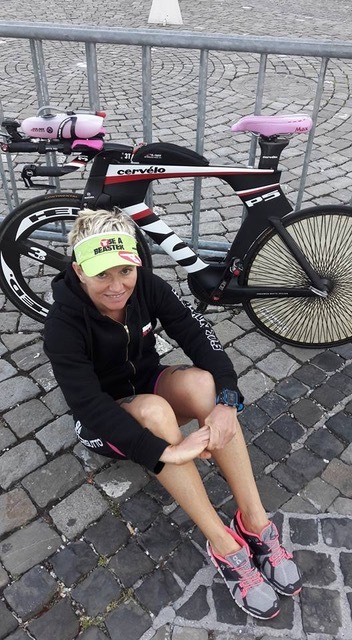 Alicja Medak just missed a podium spot at IM 70.3 Pescara. She was not feeling super-fresh going into the race but did surprisingly well. Bike was a solid effort, run was very strong, she even outran her husband - which is always a nice-to-have. Llegs were turning nicely. The altitude training in St. Moritz helped a lot. Alicja had 9th women overall run time (including 5 pros). Unfortunately her age group was the strongest. She I would have been 2nd in the younger one and won the next one! However, she was close to even 2nd place in her age group. Already a bit quicker transition (similar to Diana in Elisnore, all what could go wrong went wrong…) would have moved her up the ranks. Next race, back in the podium! 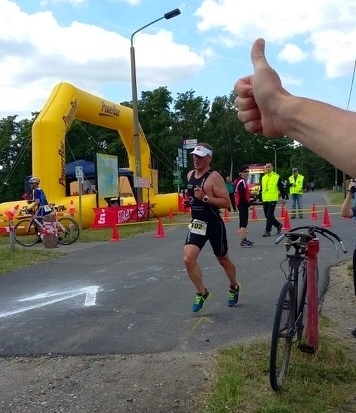 Steffen Warias, the Gourmet Chef from Middle Germany, had another great result at the Bergwitzsee Triathlon, a local sprint triathlon in Saxony-Anhalt. 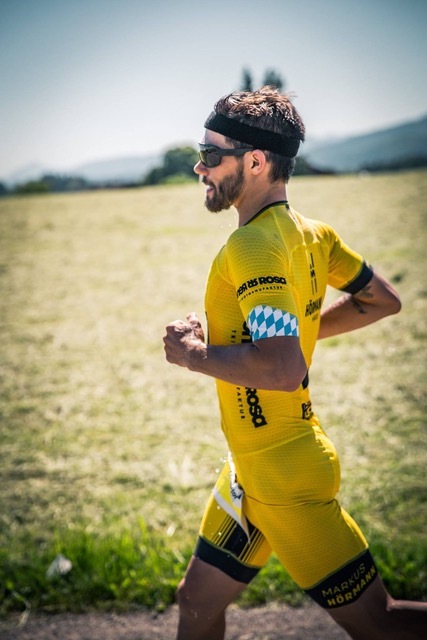 After a week with less training because he spent some holidays with his wife and lovely dog Duna in Germany, he could show that he is in really good shape this season. Only struggle of the day was his swim but the rest was going really well. At the end of the day Steffen was 2nd of his AG & Vice-Champion of Saxony-Anhalt. 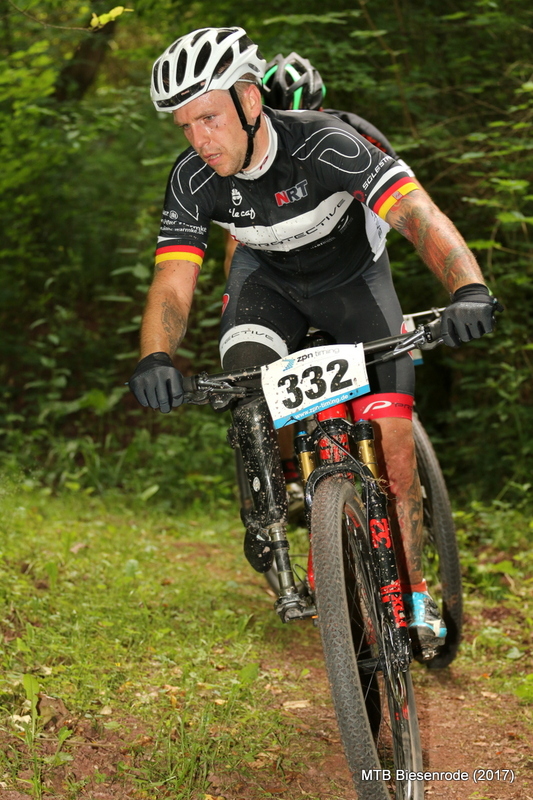 Thomas Schäfer, the paracyclist and German Road Champion, was racing the MTB marathon in Biesenrode, Germany. The technical course went through the foothill of the very nice low mountain range Harz in the middle of Germany. Thomas had a really good race and after 60kms he claimed 5th position over all and got 3rd of his Age Group.